An inspection by food safety officials revealed baby cockroaches were allegedly found behind the stainless steel layered wall in the kitchen of the Chennai hotel. 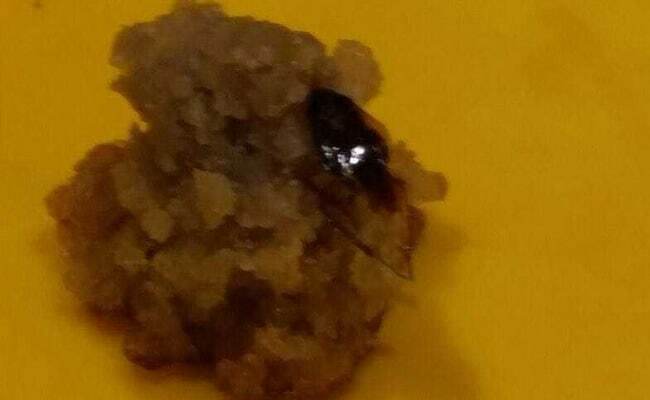 Chennai: A hotel in Chennai is facing action after serving food with a dreadful garnish - a cockroach. A filmmaker allegedly spotted the bug in the Kuzhi Paniyaaram he had ordered for his daughter on Sunday. Disgusted, director K Mageswaran dialed food safety authorities and also shared pictures and a video on WhatsApp. An inspection by food safety officials revealed baby cockroaches behind the stainless steel layered wall in the kitchen. The officials have filed a case of unhygienic manufacturing practices against the food outlet. Food safety officer R Kathiravan said: "The restaurant staff has accepted that the cockroach was present in the food. We've given them strict instructions on things to be put in place. Within a week we will present our charges to the Divisional Revenue Officer for action." The hotel is a part of a chain of over 100 restaurants run by the Adyar Ananda Bhavan group, which has denied allegations of unhygienic kitchen conditions. "The picture of the cockroach the customer has sent is fake, I believe. We have carried out whatever instructions the food safety officials have given us. We threw open our food production centre for them to inspect," said Vishnu Shankar, Managing Director of the group.